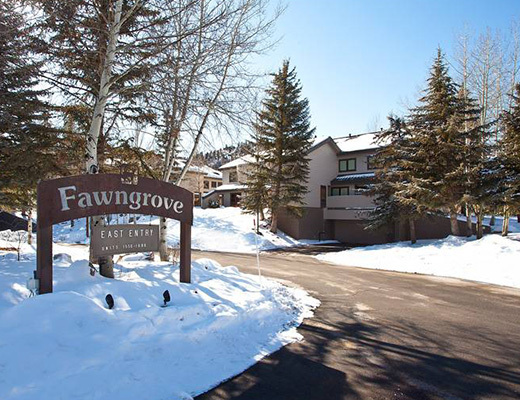 Located in lower Deer Valley, on the free shuttle route and just 1/2 mile to the resort, this Fawngrove condo rental features spacious lodging accommodations, perfect for your next ski vacation. 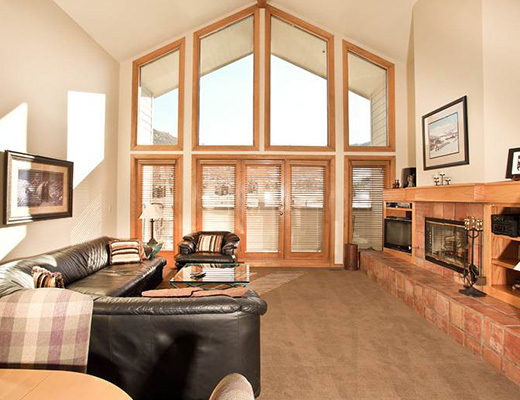 With stunning views of the nearby ponds and majestic mountain scenery, this property promises not to disappoint. 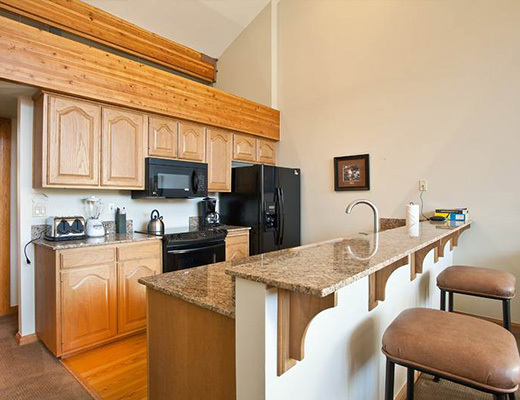 This lovely gold-rated unit features floor-to-ceiling windows, a cozy fireplace and relaxed furnishings. 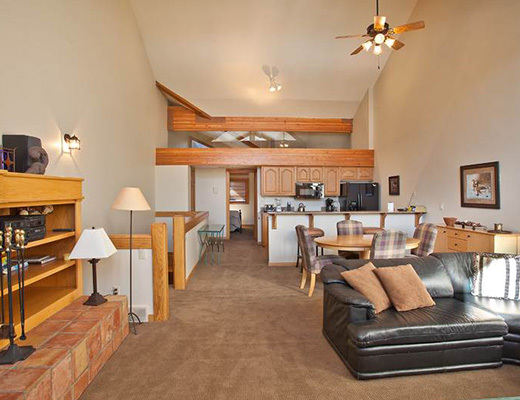 Tastefully decorated and boasting vaulted ceilings, guests are sure to feel at home here. The modern kitchen is beautifully upgraded with such features as granite countertops and handsome cabinetry and offers a breakfast bar for an informal dining option. 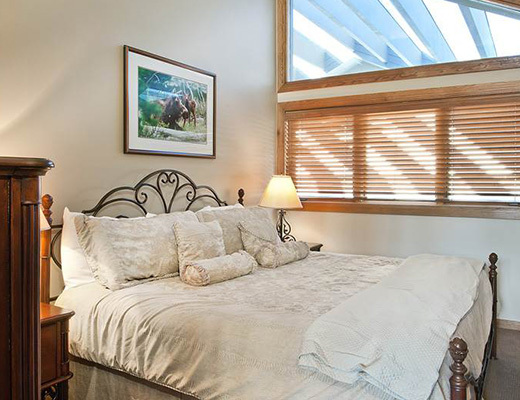 The delightful bedroom is adorned with soft textiles while the bath provides a jetted soaker tub. 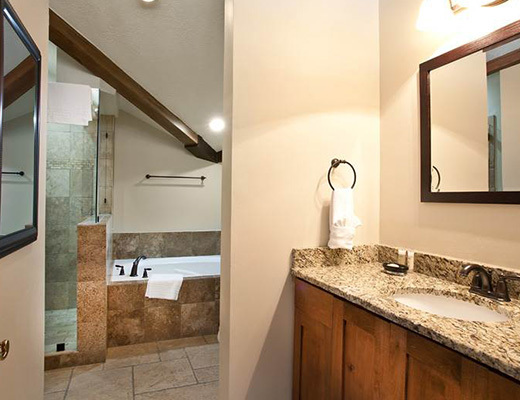 Promising rest and relaxation, this property is sure to please all who stay here.